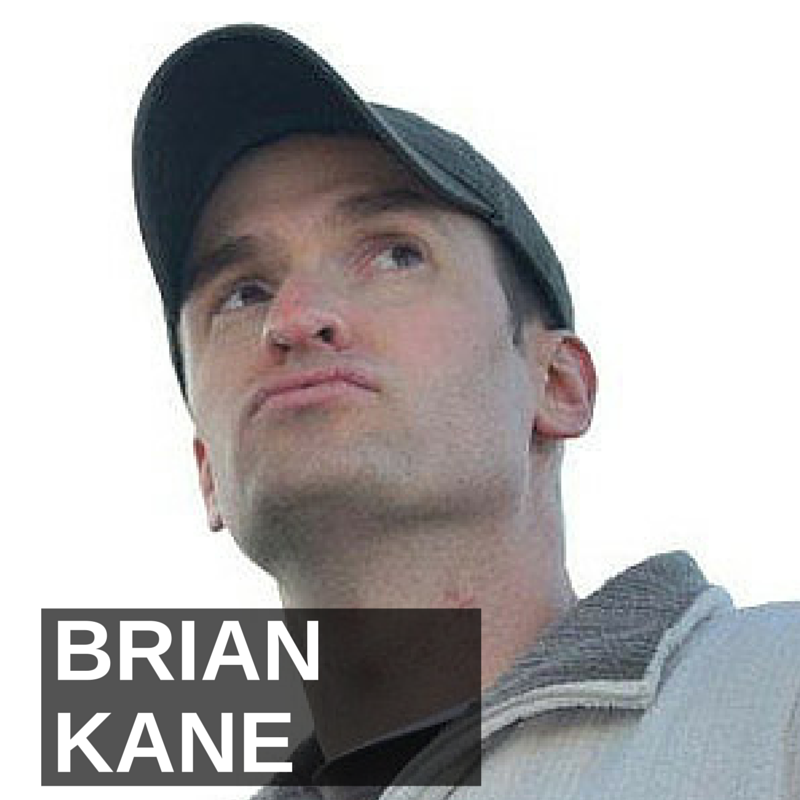 Hey, it’s my pleasure to welcome Brian Kane to the show. He is a fantastic podcaster. He is the host of his show named ProfitCast. 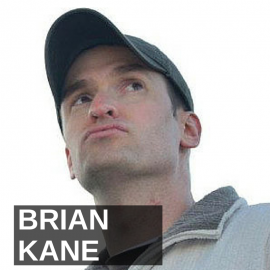 Awesome name and he’s got some great ideas and suggestions for podcasters on how we can all be more successful and how we can develop that intimate, loyal, relationships with our listeners. We’re just going to dive right in with Brian. Brian, welcome, how are you? Thank you, Jason. I’m doing great. Thank you so much for having me on, really, really appreciate it. The pleasure is all mine. Looking forward to learning some good stuff there. Some great content on your show and your blog. You know, just wanted to kind of start, you know, maybe we can start, Brian, with some tips on how people can gain listener loyalty. Yeah, absolutely. You know, it’s funny because there are quite a few tips. There’s a lot of them out there. You’re going to hear them all over the place, but I’ve got five that I love that I thought were really great as far as this is something that is going to stand the test of time, something that’s going to take a little bit of time to work on. It’s going to be about building those relationships, but it will help. Alright, let’s do five. My first one is really interacting with your listeners. Getting down, building relationships, answering every email, you know, just being a friend to these people, because how many podcasters do we know really interacting with their listeners on a personal basis, answer every email, you know, it’s a small percentage, but those that do it really succeed well and it’s neat. I think the idea of outsourcing your social media to some guy in the Philippines when someone comments on your Facebook page or tags you on Twitter, whatever, and they respond with some generic, dumb response, that’s probably not going to qualify as interaction and I think the listeners can tell, right. You know it’s interesting. I was connecting with a guy that is a podcaster that I love and I’ve always appreciated this podcast and I wrote in..I don’t usually write in very often. Personally, I’m one of those people that just, you know, I might respond on social media, but I decided I’m going to craft an email, because it meant something. This podcaster meant something to me. I sent in this email and, you know, I was very personal about it. I shared some wins and struggles and just a thank you of what he’s done and I got an automated response saying, one of our team will be in touch will be in touch with you and I never heard back from him and I thought, man, that was disheartening. I know he’s a big guy and he’s got a lot, you know, but it just really kind of disappointed me because I put a lot into that email and people want to be heard. So, when you can valid them being heard and respond to them and give them value and share that on your podcast. Oh my gosh. Talk about turning somebody into a star. I agree with you. As podcasters, we have to realize, you know, we are not big celebrities. It’s not like you know, you go on John Travolta’s blog or Julia Roberts or something and you post something on their Facebook page and you expect – they’re not going to respond personally. I get that. As much as I’m stalking Taylor Swift, she’s just not going to respond personally. Okay, darn it, but a podcasters is a niche celebrity in a certain small area, which is fine. That’s what podcasting was made pretty well for, right. Podcasters should be responding to their own stuff, right. Oh, I agree and even when you get too big, you know, you do need the help of people in the Philippines like you’re saying, then there needs to be some stuff that’s responded to and other things that you need to do personally one way or another. That’s just has to be defined. Okay, so any other tips on interaction. You know, the social media, the Facebook stuff, the emails, anything else? Well, you know, this is a big one that I have to say that most of have a struggle with is being yourself, because we are being told by so many different forces in this world to be someone we’re not or do this, do this, this is the next logical step for you to do or stop being so energetic. I got told that when I was on radio, pretty funny. It’s like wow. You’re not suppose to hear that. So, being yourself is key. I mean, you’ve got strength, talents, you’ve got your own personality, you’ve got your own passions, desires, etc, be that person and try not to be someone you’re not. Live the life you were meant to live. Be the best you. To me, that’s so important. Another thing is speaking directly to the listener. We talked about this with interacting with your listeners, but even when you’re talking on your podcast. This is a really, it’s a fine line here and it’s a very subtle thing, but you know when you say hey, thank you all for listening. What you should be is, is you should be saying, thank you for listening, because you all implies that the person that’s listening on the other end is a group, but in reality you might have, you know, 100,000 listeners, one person is still receiving that at a time. So, each listener matters. Speak to a listener, not to The Listeners out there. Okay, so, how do you say that or phrase that exactly again? Every time, like, you’re just talking to me right now. How do you phrase that? Not do you all phrase that or like, one thing I used to hear a lot was, how are you all doing out there in podcast land or let’s pose a question to the listeners, stuff like that. So, it’s very impersonal. So, looking at it like you want to say, how you’re doing today, how was your Thanksgiving. Thank you so much for listening. I’ve got a question for you. Stuff like that. Right, okay, that’s good and, you know, if you think about it really, podcasting is one of the most personal forms of media, because you’re usually right in the ear bud. Literally, you could not be closer. Sometimes I say that to my dog, I say, Coco, if you were any closer to me, you’d be on the other side of me. That’s really true. We are very close when we are podcasting. Television isn’t that way, a book isn’t that way, a movie isn’t that way, and that might sound weird, you know, like what’s the difference? Well, it is, it feels more intimate when you’re right in someone’s ear. So, I think that’s a good point and you’re small enough to where you can be personal and it’s actually believable. If Leonardo Dicaprio comes on my TV and says, thank you for watching me. I know he’s talking to like millions of people, but when it’s a podcaster, you know, they know you’ve got a relatively small, narrow audience. You may not know every person, of course, especially if you’ve got quite a few listeners you’re never going to know all the people, but at the same time, you’re still talking to an individual listener and each person does matter and wants to be heard. It goes back to that. So, that also goes into empowering them involved with your podcast. That’s a huge thing. Like, I love listener feed back, I love when people are sharing wins or struggles or questions or comments, whatever. I love hearing it and I love sharing it on the show and if I can get everybody to leave voice mails, I’d just be ecstatic about that, you know what I mean? So, that’s the kind of thing I enjoy and the last thing I would share is just engaging with listeners on social media. I know social media is a big thing, but I believe in building relationships on social media. Personally, I like Facebook groups. Facebook pages on the other hand, not so much a fan of, because it’s less personal. So, tell me about the way you use a Facebook group. It’s a group so people have to actively join it even though it could be a public group or it could be a private group or it could be a secret group. Facebook also just kind of slapped everybody recently with their pages and I gotta tell ya, I think Facebook might be overstepping their bounds. They might, you know, they’re making some people pretty upset. I mean, they’ve done that many times, you know, with privacy issues and so forth. Man, their business is advertising, so they better keep the advertisers happy. You know when I first got on to Facebook and this is after it went from the college groups to the public at that point. I just remembered that when you posted something your friends would see it and if you had a Facebook page back then, if you posted something, people saw it, and then I went away from Facebook for a while, because I was just kind of getting fed up with the changes, you know what I mean, and then I came back and I started getting back on and I started working on our Facebook page for a radio station I was doing. I noticed that no body saw it. I’m going what is going on here and then the whole timeline thing and I started realizing at that point, Facebook was about a popularity contest. You had to game the system in order to make it work. It’s just ridiculous. It’s less about personal connection and all about this whole advertising medium now. So, that’s kind of when I looked at the page as, yeah, some succeed, but most fail, where as Facebook groups on the other hand, there’s still successful because in many ways a Facebook group is like what Facebook used to be. You post something, people see it, because it’s a private group or even if it’s a public group, like you said, people still have to join it and they are going to get the notifications and they are there for a reason. People don’t join a Facebook group just to join a Facebook group. They might like a Facebook page just for the heck of it and never come back, but with the group they are there for a reason and usually they will engage with you and that’s something we’ve seen with our TV show podcasts as we started a Facebook group for both of our TV shows that we podcast about. People are excited. They come in and they share and they communicate and we’ve built incredible friendships through Facebook groups. Yeah, good, that’s great advice. I really like that advice. You’re not the first person I heard it from. It’s good advice and I’m really believing it. Let me give an example of engagement that just happened to me this morning, so I thought I’d share it. Well, you’re not going to believe this, but I finally started, Brian, asking my listeners for reviews. After what, seven-eight years now? I finally decided it was okay to just actually overtly ask people to review the show. So, listeners, please review my show and Brian, I’m sure you’re asking the same thing. Please review his show too. I got a really nice compliment on one of my public pages for one of my shows today, the JasonHartman.com one and a guy named Kent, he says, great interview, Jason, I really enjoyed this one. I had the founder, you know, this is me, I had the founder of Ugg Boots on the show and he was a great interview, great entrepreneurial story. Rags to riches, for sure. I said, Thanks Kent, glad you enjoyed the show. We’ll keep them coming, if you haven’t done so already, please review the show and I give my review link and then he says, already done a few weeks ago, keep waiting to hear mine read on the air! :). I’m like, do you think, outsourcing that to a guy in the Philippines could have ever had that interaction? That’s a really valuable interaction. It’s exactly what you’re saying, you know. That’s how you get loyal listeners for life. That’s true. You know what’s funny, reading reviews on the air, that’s something that I had recently heard a few months ago and I never thought to do that before and I thought, man, we need to do that. Like, all of us need to, because they’re leaving something that is public, why not? It’s an honor. Yeah. You mentioned gaming the system and you know, after we’re done with these points, I want to talk to you a little bit about that, because you had some really good thoughts on that, but go on. Let’s just finish up on this topic. Well, actually I finished my five points. Unless you had any other questions, but well, I mean, I’ve got a ton..There’s so many ideas, but those are my top five anyway. Brian, where’s the bonus points? Are we suppose to say, but wait, there’s more. The bonus points. Well, part of the bonus parts are coming, which is exciting, but okay, I’ll share with you one thing and let’s get into this, so this is something that I thought was kind of revolutionary for me and by the way, thank you for being on ProfitCast this last week and it was such, such an honor having you on. I tell you what, between our conversation and then I interviewed a guy Lou Mongello from the Walt Disney podcast and the two of you, back to back, it was funny, talking with both of you, he had some stuff about building relationships and then, of course, you just had a whole wealth of, you know, ideas and knowledge and wisdom and everything, and so I got to thinking about some o that and one of the things you brought up was finding a common enemy that we have with our listeners. Like, what is it, what’s that social injustice, you know, that movement that we’re trying to do, that we’re trying to fight against. Something that will get people really rallied. Seriously and you know, I started ProfitCast with the idea of saying, I’m going to find out what it really takes to monetize a podcast and grow your audience and really interact with your listeners. That was the purpose behind ProfitCast. I was told by, you know, experts, there’s already guys out there doing it. This is saturated and I thought, well, yeah, there are guys out there talking about it, but what can I do that’s different. So, setting yourself a part is one thing, but one of the things I came to the conclusion of is when you mentioned that common enemy idea is that what is it that we’re fighting against and I thought, am I fighting against making money, like, how do we make money and we’re fighting against that. No, that’s not it. That’s a result of something or whatever, well, we can’t grow our audiences or we’re fighting against the small podcast syndrome. No, that’s a result of something as well. What I came to the conclusion of is that the problem we deal with, our common enemy with ProfitCast is the average and it’s that, you know, or just another person, another face in the crowd, we’re average. We punch the clock everyday. We live our lives on autopilot. We have an average outlook. Whatever it is, you know, and I came to this idea of saying, we need to have a cure for the average and it’s this idea of saying, what about our presentation? Is our presentation average or are we excellent? Are practicing in front of the mirror, in the shower, in our car on a daily basis. Like we would for a speech. Oh my gosh, yeah. You know, if we were getting paid to do this or if we got hired by, you know, Howard Stern or something to be his co-host or whatever, you think we’re going to wing that. We’re going to bust our butts. You know, we’re going to get out there, we’re going to try to be amazing at what we do. We’re going to practice it every opportunity we get. We’re going to master our craft and that’s something as a pianist, as a musician, you know, I have a passion for mastering things. I believe in excellence. I don’t believe in being perfect, because that’s pretty much impossible, but you can be dang near excellent and really work hard at it, but that’s kind of what I was looking at. There’s so many aspects to our podcasts and in life in general, you know, when you basically, you’re tempted to be average and average is comfortable. It’s not fun, but it’s comfortable. So, my new thing that, like I said, inspired by you, that common enemy I believe is really fighting against that average when it comes to our podcasts because if we can create excellent podcasts, all of the strategies of monetizing and growing our audience are going to come pretty dang easily. That’s a good point. That’s a really good point. Average is the enemy. You know, it reminds me of that famous saying, we have met the enemy and the enemy is us. Yeah, so that’s a good point. Average is the enemy. So, we’ve got this world of, dare I say it, average podcasts. Some are lame, some are great, some are truly lame though, and what’s disconcerting about it is I just am concerned that the podcast consumer out there and I know, I mean, I am a consumer. I love listening to podcasts. I mean, it’s so much better than talk radio where you’ve got, 18-22 minutes per hour of non-content, of commercials, station ID, whatever, maybe the traffic report. It doesn’t even apply to you. You have GPS, why are we still talking about traffic reports when the vast majority of people have GPS that tells the traffic and you can never in a big metro area tell the traffic where you are anyway, it’s just silly. So, podcasts, it’s a much medium. There’s much more content. It’s much more narrowly focused. It’s just far more appealing and once the world discovers podcasts, I think talk radio will basically will be the old dying medium and they only have a limited frequency spectrum anyway, so you can never have as much of variety and as much of a long tail in terms of keywords and very specific narrow interests. So, here’s the thing though. When the consumer goes on iTunes or Stitcher or whatever platform they’re using and they see all of these podcasts and they’ve all got five star reviews and flattering comments and you turn some of them on and you spend your all-too-value time, the most valuable asset anybody has, you listen to them and you think, this is what is considered a five star podcast? The consumer is going to get turned off. I’m telling you people. I mean, do you agree with me? I don’t know. Yeah, I agree, you know, it’s funny that we’re talking about this, because that’s been a concern of mine. Thankfully the people that I’ve interviewed have mentioned a lot of the whole leave the five star reviews. I mean, that’s something that, it is mentioned simply because that’s what we’re taught, right, so we repeat what we’re taught and that’s something that I’ve even taught others is, well, go get five stars reviews, but one of the things that I try to get people to say is get a five star honest review. Like, if they can’t leave you a five star honest review, then have them leave a four or three star honest review or not at all, but don’t just leave a review just because and you know, for example, we got two one star reviews recently for one of our TV show podcasts and they were, they were just inappropriate. They were disrespectful. It was just from two hates who just went all out on us and the interesting thing is that it wasn’t one star because of the quality of our show. It was a one star, because they didn’t like our show. It was not for them. It was the format they didn’t like. I’m like, we’re not trying to appeal to those people. So, in some ways that was honest, right, but the way they worded it is somebody going in looking at that one star review is going to think this is a crappy show, but then we got later a four star review from somebody who said I love this show and I love this, but here’s some constructive feedback. Here’s one thing that if you tweaked this it would be better. Here’s another thing that if you tweaked this it would be better. I thought, man, that’s the best review I’ve ever gotten, you know, because it was honest and I think that when we’re trying to go just let me a review, oh yeah, I’ll leave you a review, but I don’t listen to your show and I have no idea what’s it about, but I’ll just leave you a five star because I like you. Yeah..then, maybe based it on I love this host and I love the topic and this person knows his stuff or whatever and then that’s it, but don’t say this is the best show ever if you don’t even listen to it. So, I would agree, I think there’s definitely some, like you said, it’s gaming of the system, but I also think that it’s how iTunes plays the game. They look at how good your artwork is. They look at how many, I hate to say it, how many five star ratings/reviews that you have and yeah, they do factor in the downloads that they get to see, so there’s a combination, but I notice whenever I get a couple of extra five star ratings and reviews, my ranking bumps up immediately. So, it is something that iTunes does and so the game, I don’t know if the game is necessary or not, but at the same time it is a factor. It’s not a great factor, but it is what it is. So, I don’t know. How do we get around that? That’s kind of the question that I’m trying to figure out right now. Well, when I said that, what I was really referring to is not the concept of even if a host goes on and says, you know, I’ve just started saying please review my show and I’m thinking I want to start an ethical bribe to review my show, because one of my other fellow podcasters whose got a zillion more reviews than I do and his show is good, but he’s asking for reviews, right, and I haven’t been doing it. I’ll admit, it’s a bad practice. I should have started asking a long time ago. So, what he does is he’ll have a guest on the show and he’ll get a bunch of their books, I don’t know if the guest will send him some or he’ll buy them and he’ll just say, hey, you know, write a review and I’ll send you their book. They can write a crappy review and hopefully he’ll still send a book to them, I don’t know. You know, that’s okay, but what I’m talking about is where you’ve got these syndicates going where people are like reviewing each other shows and I’m like sort of loosely practicing in one of those, okay, but I actually will take a little bit of time and I may not listen to their entire catalog of shows, certainty; I’ll take like three episodes and I’ll sorta skim through it. I’ll listen to the few minutes here and then I’ll forward it a little bit, if it’s interesting, I’ll just keep listening and then I’ll forward it. I’ll listen to more. I’ll try to give like a legit review, you know. I might give them a four star review or even a three star review. I’m probably not going to give them a review if it’s lower than that. Most people that are on those kind of things, they are taking it seriously. So, they’re going to have at least a three star show. I just got to think the consumer is going to get turned off if they can’t believe these reviews and we all know – and the consumers aren’t stupid, okay, they know a lot of reviews are fake, I’m sure. You know, you go on Amazon to buy a product and it’s the same thing, but from reading the comments, you can rationalize, this looks legit, right or it doesn’t. I just think it’s bad for the whole industry if the consumer can’t trust the reviews and they think a really mediocre two-three star show is a five star show. They’re going to listen to it, turn off, and do something else. They’re going to be listening to audible instead. I think that’s kind of the, you’re right about that, and that’s kind of what frustrates me too is that is I think we’re getting backed in to that corner though where in order to get ranked in iTunes you have to have reviews and not only that, but that is a major factor, so I think a lot of people are saying, well, I want to be in the top 20 if I want to get noticed. So, I’m going to do whatever it takes, even if it’s not the best practice or the most, I don’t know, if it’s unethical as more of its just, like you said, it’s misleading for those that actually want to know what the show is about and want to read the reviews. You’re right, You can see the reviews that are like, that’s crap. Yeah, yeah, I think everybody just needs to know, look, there’s going to be consequences to this, but anyway, we’ll see. Well, iTunes has started implementing consequences. Oh, tell me about that. I don’t know about this. Well, apparently, because what people were doing was going in and getting a big number of reviews, you know, go out and get 50 reviews a day or 100 a day or something like that and iTunes cracked down and said, nope, you can’t have that many reviews in a day, because you are gaming the system. So, a friend of mine who is a podcaster, he actually had, I think, seven reviews in one day and he just – it was the day he broadcast his episode, he asked for it, he didn’t game anything, he wasn’t bribing anybody, this were actual seven legitimate reviews and they came to him and said, sorry, that’s too many reviews for one day and he said, what are you talking about, I didn’t even know these people did this and they said well, sorry, we deleted them and they’re not going to be on there. So, they’ve over compensated. Well, that’s a little scary, see, yeah, you know. But there you go, the consequences have already started, so. So that ruins it, that ruins the party for everybody. Exactly! Yeah. So, do it right, that’s the key. I’m with you on that. So, Brian, tell the listeners a little bit about your background, because I want to ask you to share maybe some advice from your background as to, you know, how can people be better at the actual act of podcasting. You know, the recording, the presentation, the vocal variety, things like that. You’re very good at that. Well, thank you. You know, I’ve done radio and I’ve done private events and as a performer with music, I’ve been in front of crowds and stuff. So, over the years I’ve just gotten to – well, I’ve gotten to read body language and you start to realize when, you know, people are yawning and bored and getting turned off or you’re losing them or they’re really engaged, almost impossible to do with podcast, because you can’t see your audience, so one of the things that I learned with radio is, well, what are we doing, we’re talking to ourselves in a studio, you know. What you start to realize is that you have to learn, there’s a lot of factors, you have to learn how to speak to somebody. You have to learn how to keep it interesting, because there’s a lot of monotone people and especially when they get behind the microphone, they get a little nervous and they start talking like this and how are you, and here’s what I did and they go on for 30 minutes like that and it’s boring, right. We talk about body language being something like 70 something percent of communication, but when we’re behind the microphone, that doesn’t exist. So, ironically the content isn’t the not high percentage. The next highest percentage is our intonation, our delivery, how we speak the words, then content. So, a lot of things I think podcasters miss on is how do we present in a way that it’s going to resonate, it’s going to connection, and it’s going to be interesting. So, having done radio all those years. I was trained by people on how to speak and I actually got trained on how to sound like the radio guy and be the amazing thing. You sound like a pitch man. Oh my god, it was funny, because they taught me to talk like that and eventually I went, this is ridiculous. I sound like a used car salesman. I don’t want to do this. Nothing against used car salesman, sorry I just said that. Used car salesman announcer, there we go. The commercial, that’s what I meant, but it was funny because, you know, I just went this is so fake. This is not me, this is not how I talk to my friends. I want to talk to my friends. That’s what I want to do. That’s what I’m doing behind the microphone and I learned it when I was doing some private events, you know, being a radio DJ, sometimes you get called on to do weddings and things like that, so one day, I just realized that I thought, these are people. These are human beings, why am I trying to elevate myself to some weird sound, you know? Why don’t I just be myself and I’m going to talk to them, but I’m going to talk to them with quality, I’m going to learn how to articulate my words, I’m going to use intelligence when I speak. I’m going to try to minimize ums and ahs as much as possible. Any tips on doing that? I am terrible – when I listen to myself, it’s amazing, because it seems as though I’m recording a show, I don’t do it – ums, ah, but when someone’s interviewing me, I have um, ah, and I hate this one, you know. It’s a terrible habit. How do I overcome that? I’m sure I’m not the only one with this problem, listeners, so I’m asking for all of you too. Yeah, this is a tough one. It takes time. It takes attention and it takes you not beating yourself up and do it, because as soon as you beat yourself up the first time, you’re going to keep doing it, because it’s going to be the top of my attention. What is it, is my brain a rebellious teenager, is that what you’re saying? Exactly. Oh yeah, you say um and you go oh, dang it, and then you say it again, again, and it keeps going over and over. It’s funny. Another thing that’s really important and I know some people really don’t enjoy doing this, but preparing what you’re going to say somehow. I’m not saying you have to write up detailed notes. Some people need a script. Some people need an outline, some people just need a bullet points just to make sure, hey, I’m on topic, I know what I’m talking about. It’s easier for most of us to go down rabbit trails. So, really knowing what you’re going to talk about and thinking about it, making sure it’s coming to mind and if you have no idea, and you’re recording, hit pause and stop and think about it, don’t try to push through it and then start over. If you’re doing it live, you know, sometimes you just say, that’s a great question, I don’t have an answer right now. I’m going to come back to that. Maybe you don’t come back to it, maybe you have no answer you know what I mean, but not trying to fumble through something that you just aren’t prepared for. So, I think, that’s a big thing. I mean, it’s just like a speech, you’re not going to go up and wing it probably. You brought that up earlier. Yeah. In a speech, most people prepare for a speech, but on a podcast for some reason, people don’t practice. What about show formats? Any advice on that? Of course, you know, most people are just interviewing guests. There’s the monologue format. I do both, it seems though nowadays I’m doing way more guest. I used to do a lot of monologue and always get in front of that microphone and think, oh, you know, I’ve only got about maybe five-eight minutes and suddenly like 30-40 minutes later I’m still talking to myself. Isn’t that funny. It always works. Well, you’re wondering what’s a good format? Yeah and any advice on different formats and your thoughts about them. You know, the biggest advice I’m going to have here is do what you want to do and do with what you’re comfortable with, because you know, we all talk about, oh, John Dumas got out there and started the interview format and now everybody’s copying it. You know, yes and no. Some are definitely copying him and just because somebody has an interview show doesn’t mean they’re copying him. I agree he’s done a phenomenal job with it, but going back, for example, I’ve been doing interviews on radio long before John got behind a microphone. Yeah, I was doing interviews before John too. Wasn’t every podcaster doing interviews? I mean, he didn’t invent the concept of the interview. No, exactly, but I think everybody’s got this idea of that now everybody is copying him and I thought, well, they are copy cats, but you can’t say everybody’s doing that, so I think it goes back, like I love interviewing people, because I did it on the radio and I love to interview artists and bands. It was so much fun for me. So, I thought, that’s something I want to do with my podcast is interview people. It had nothing to do with John Dumas. That’s what I wanted to do. And I was good at it! It was something I enjoyed doing. So, again, it comes back to, if you really have a passion to interview somebody and you believe it’s going to deliver value to yourself and to your listeners. Go for it. If it isn’t and you really don’t want to interview people, then don’t. Like, it’s a great idea for a successful format, but it doesn’t have to be an interview show to be successful. So, I look at it is that, again, going back to whatever it is you want to do, but as far as length, here’s something I’ll tell ya, the average commute time, statistically, is about 26.4 minutes. So, that’s something to factor in for the length of your show and I know some people love going into the hour and hour and a half, I don’t have a problem with that, but I think, again, it comes down to make it as long as it needs to be. So, if your show is an hour, like, last week we talked for close to an hour on my show and every bit of information in there was necessary, even trimming it down, there was nothing else I could trim out without taking out intentional content. So, for me, make your content intentional. If it becomes fluff or rambling or whatever, edited it. Take it out, don’t just leave it in there. I would agree with you completely. I can’t stand the rambling. Some of these podcasts I listen to and they’re talking about hi, how you doing, how’s your cat, oh my gosh, I keep saying like that old Wendy’s commercial, where’s the beef? Seriously and connecting with your listeners is good and sharing a little bit about your personal life is good, but you’re right, get to the point. Time is valuable. So, having an hour, hour and a half podcast, if it’s chalk full of intentional content, great, but if it could be 30 minutes and you’re saying it, an hour, hour and a half, cut it. So, it’s like reading books. It’s so funny. I’m reading right now Made to Stick by Chip and Dan Heath. Right, yeah, I remember that book. Which is a fantastic book, but ironically they talk about making it simple and yet profound and yet the book is 350 or 360 pages and I’m thinking, you know, you guys are talking about making it simple and profound, you could have cut this book in half, really! I mean, realistically they could have. I know there’s something to be said about writing a long book. It’s some kind of thing and I get that, but at the same time it got me thinking not to criticize them at all, because I love what they’re talking about, but it just got me thinking like, hmm, interesting. That’s the old world of publishing where people would buy the book by the pound and it’s the info product world too when it’s at least none digital content. You know, I remember I had one of the authors of the Steve Job’s book on my show right after he passed away and I constantly heard after his death about how he always said the difficult thing is to make it simple. Simplicity is difficult and it requires a lot of discipline, you know, to just keep it simple. That’s a very important point that you make. You know, it’s funny because going back to even the original question you were asking me, I made it complicated. It comes down to, you know, how do we get better with our podcasts when it comes to our presentation and it really comes down to master your craft. Just get good at whatever it is you need to do when it comes to your podcast. So, if you don’t speak well or if you’re got crappy equipment or your content is all over the place or your co-host isn’t – whatever, whatever the issue is, look at it and say, how can you cure your average. Master your craft. Make it excellent. Do everything it takes and that’s what I’m doing on my show is helping people to do that, because I think that’s the thing most of us are missing. Yeah, absolutely. Good stuff. Well, very good. I just want to leave it open for you, but first give out your website, if you would, Brian. That’s a great name, ProfitCast. I love it. Good name. Those were one of those accidents, you know. It was a mash up of words and I thought, how do I profit with my – ProfitCast! My podcast. Yay! It’s a great brand, no question about it. It’s very memorable. You know, just any closing thoughts, tips, ideas, what the future holds in podcasting, you know, just anything you want to share with people. You know, one thing I’ll share is just making sure that, you know, if you’re a podcaster, it’s really a great idea to take a step back and look at it. Put yourself in the seat of your listener and ask yourself if I was my own listener, would I listen to my own podcast. Is this something that I would love and again, write down, yeah, I like it, of course I like it, do you like it as a host, but then writing down things that you could say, I could really do better at this or this is something that I am just rocking. It’s awesome. Keep it. Don’t fix it that obviously isn’t broken, right? So, making sure that you can really take those ideas and figure out ways to continually improve and continually practice and get better. Asking for advice. Don’t think you know it all, you know, if you’ve got questions, you know, relish the failures, because the failures help you to learn. Help you pivot to the right thing too, but as far as the future of podcasting, you know, my only advice would be this. As we know, you mentioned this earlier that AM radio is going to be a thing of the past when podcasting continues to grow. I would say, you know, we’re in the business of broadcast. Broadcast has been around for 1,000 of years. It’s just different forms of technology. So, to remember that if you were a broadcaster in that sense and you love sharing something, you know, podcasting is a phenomenal right now and I think it will be for many years, but like anything, technology will change and so, you know, I don’t know what’s going to come of the future of podcasting, but I always look at it as be prepared for the next adaptation of technology. Well, as Peter Drucker said, the one constant is change, so it’s not always going to be like this, it’s not always going to be the same, and we’ll see what happens with the media landscape in terms of podcasting. Hey, one other thing I want to share real quick too. Love what you do. If you don’t love it, change it, because podcasting is, man, it’s a lot of work, you gotta be passionate about doing it and about the topic you’re talking about. If you’re not, it’s okay to change. Good, so, that’s – pivot or persevere. So, that’s a great point. Well, Brian, thank you so much for joining us today. This was a great discussion and I think we’ve really got some good ideas about podcasting and where it should go in the future of it and the opportunity, which is so big, so we appreciate having you on the show. Thank you, Jason. You know what, I’m still learning. It’s exciting to continue to learn and be proven wrong in many ways too, so feel free to throw out your feedback and if you guys have suggestions and thank you for having me on Jason. It’s been an honor.